Hello! I'm so excited to share this post with you all, this has got to be one of my favorite looks and shoots to date. 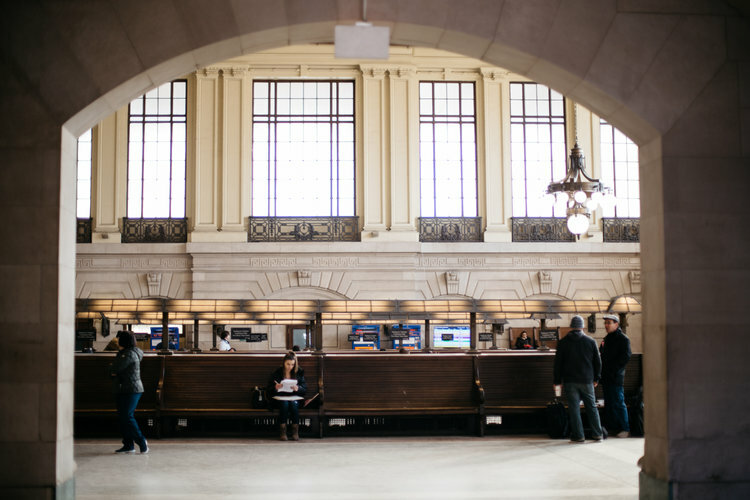 My photographer Diana and I knew we wanted to shoot in this gorgeous train station in Hoboken, NJ when we came across it on Pinterest. Funny thing is, I use to live in Hoboken, have road the trains many of times but have never been inside the station. 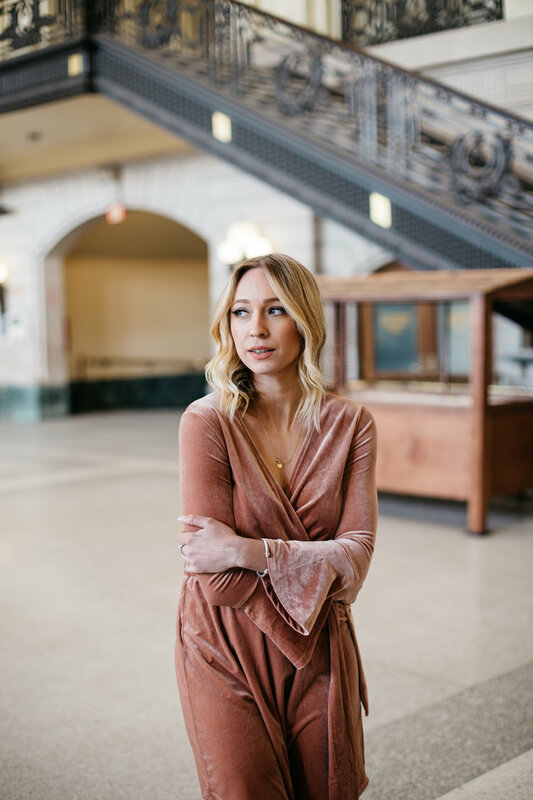 This space is absolutely beautiful and Diana captured it perfectly, as well as my look. Being a mommy to a two year old boy, it's rare that I throw on a dress. I like to keep skirts and dresses to special occasions and holidays. It's what makes the most sense. 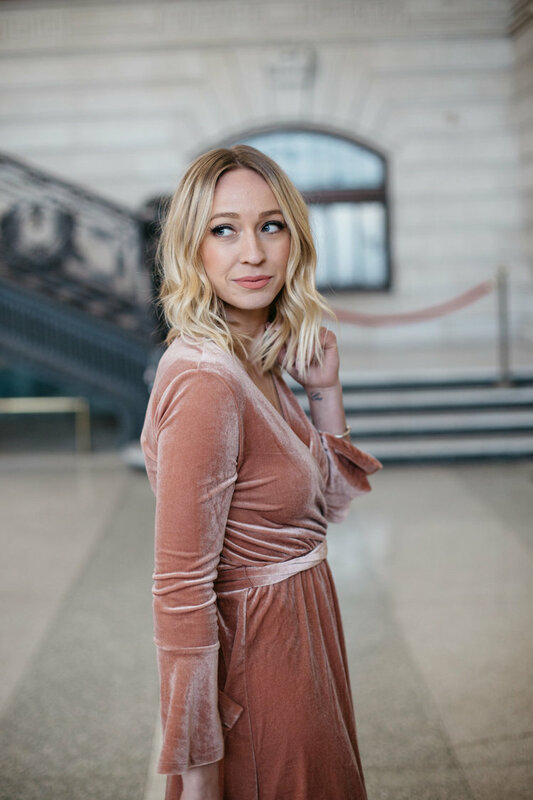 There really isn't many dresses in my closet for the winter season, so when I add a new one it has to really stand out! A few weeks ago I ran into H&M to pick up a few things for Cameron, I said I wouldn't buy myself anything.. who was I kidding?! Guys, this dress was literally staring at me, begging me to buy it! 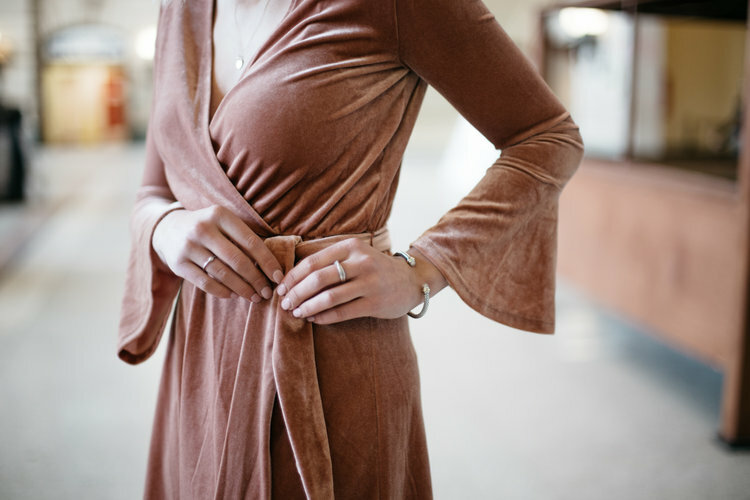 The Velvet, the bell sleeves and the blush color, how could I resist? I didn't hesitate, I ran for the check out line, took a detour for the booties (pictured) and added this little number into my wardrobe.